DECORATING FOR FAMILY - Decor Designs, Inc.
Beautiful spaces are a dime a dozen. Fill a space with the trendiest, most expensive decor you can find. And while it’s pretty to look at, it still isn’t home. So, what makes a house a home? It’s family. Creating common spaces that suit the needs of a family is probably the single most important task any decorator will tackle. Of course, you want it to be beautiful. But, it also has to function well for every member of the household, no matter how young or old. 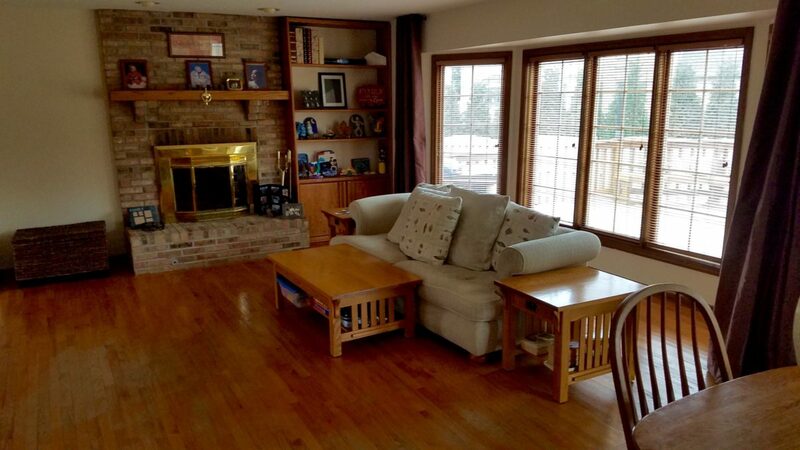 Consider a home to three young adults and their parents. The home is a hub of activity for friends and family almost every day of the week. All are coming and going either from college or work. 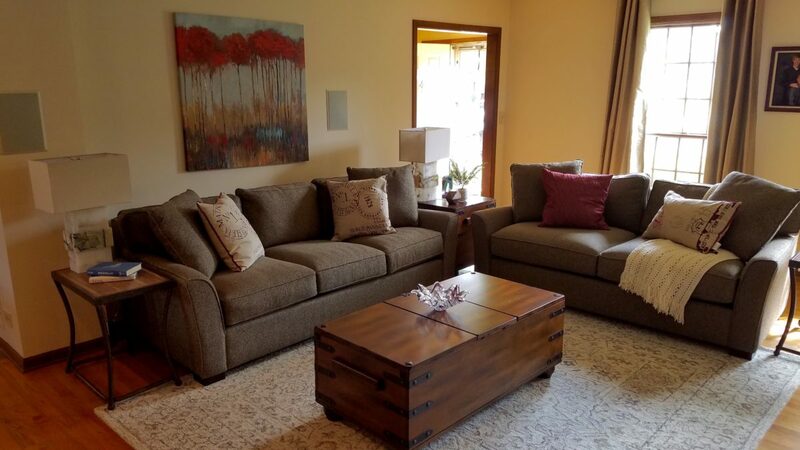 Whether just for family or casual entertaining, updating and enhancing the primary living space in this home needed to fit their busy lifestyles. 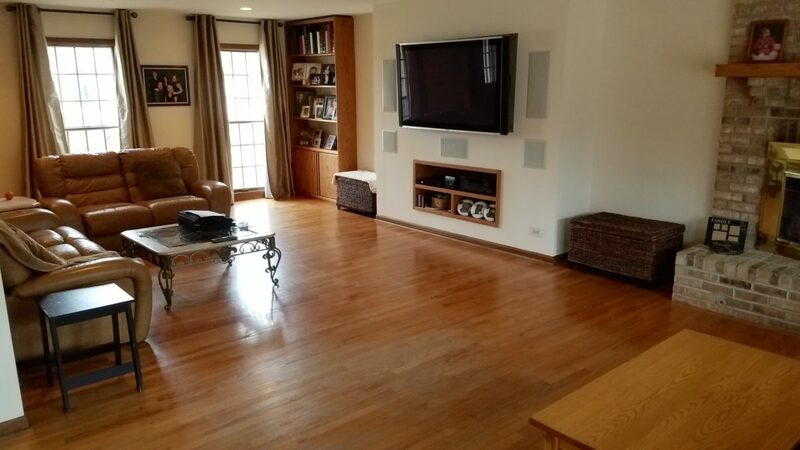 That pretty much describes this project we’ve just finished in Hoffman Estates, IL. 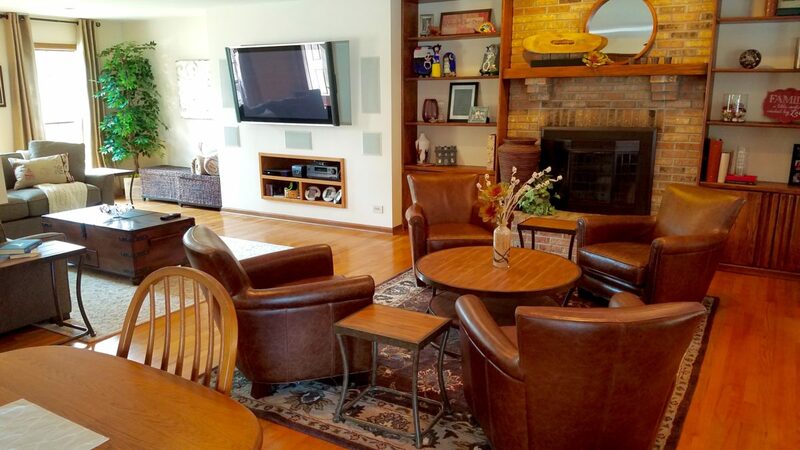 The project focused on restyling a large combo family & living room in this beautiful home. While we wanted to create two distinctive spaces with their own function and personality, both needed to play together when needed as one unit. Working with a generous budget, we were able to replace dated and worn furniture with all new seating. Two durably upholstered sofas provide comfortable seating or lounging in the t.v. space. 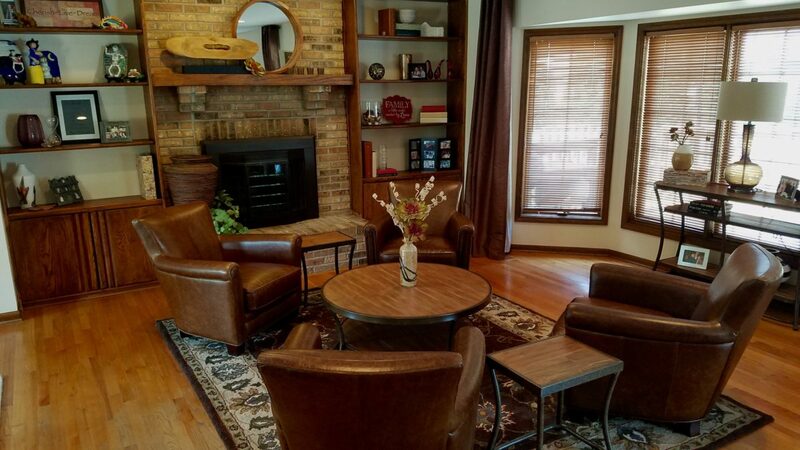 Nearby, we grouped four new leather club chairs around the fireplace as more of a conversation space. New reclaimed wood and metal nesting tables were separated to give plenty of spots to set a drink. New Santa Fe storage trunks double as coffee and end tables. New lamps, artwork, accessories and area rugs complete the spaces. 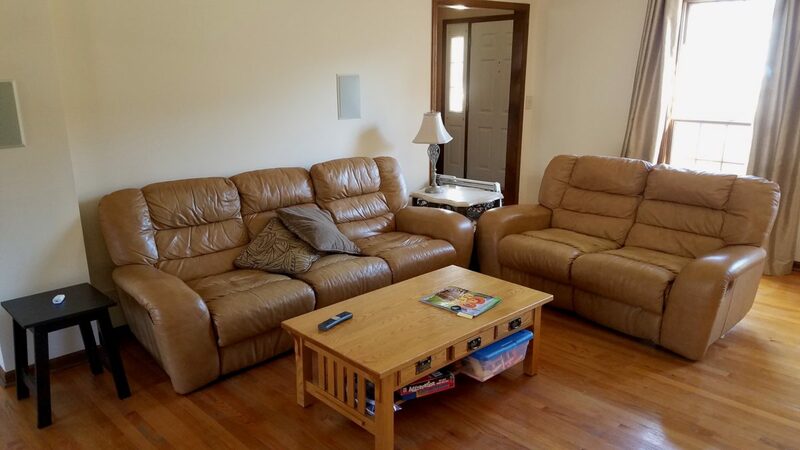 While each area serves it’s own purpose, with a few simple moves, the leather chairs can be repositioned nearer the television for movie night or game day parties. As we suggested, the homeowners repositioned one and refinished both built-in bookcases. Darkening the wood work and mantel with gel stain and painting the brass fireplace surround with heat resistant bronze metallic paint gave the fireplace an updated and much stronger presence in the rooms. The end result is a space that has already wowed family and friends. It’s sure to get thorough use in the months and years ahead. Happy Family Decorating from Decor Designs. 815-245-2433. This entry was posted in Decor Designs, Inc., Interior Decorating, Interior Redesign and tagged Decorating Tips, Interior Decorating, Interior Redesign on June 20, 2017 by Jeff Rice.